Please click the geological map to query the category values at specified location(s). 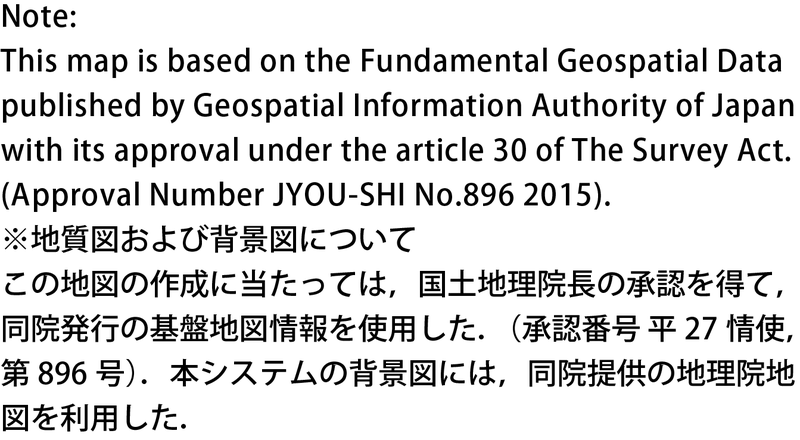 This map is based on the Fundamental Geospatial Data published by Geospatial Information Authority of Japan with its approval under the article 30 of The Survey Act. (Approval Number JYOU-SHI No.896 2015). 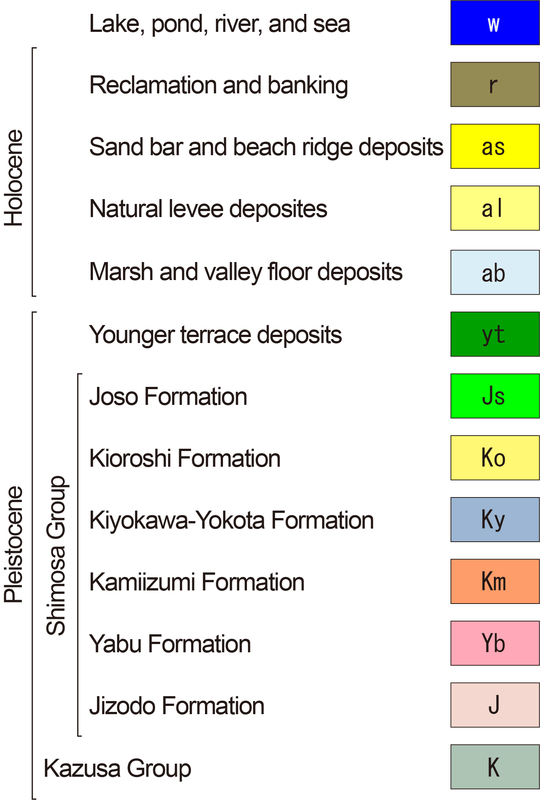 Copyright © 2001-2016 Geological Survey of Japan, AIST.